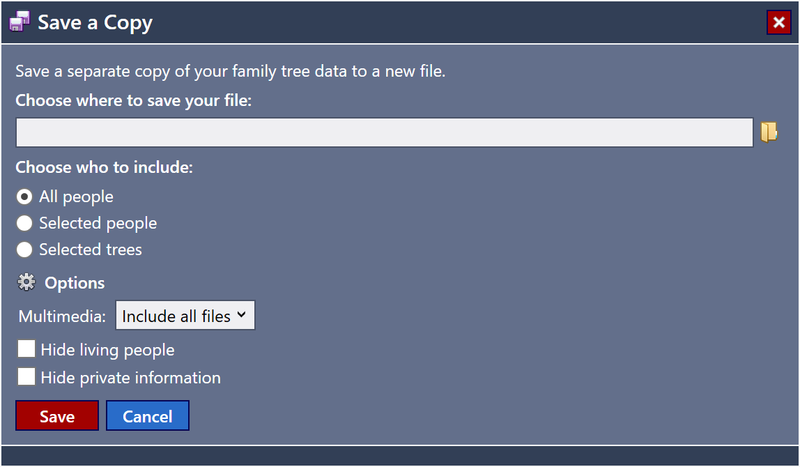 This feature allows you to create a copy of the current family tree file. You can choose to make an identical copy by selecting the "All people" option. 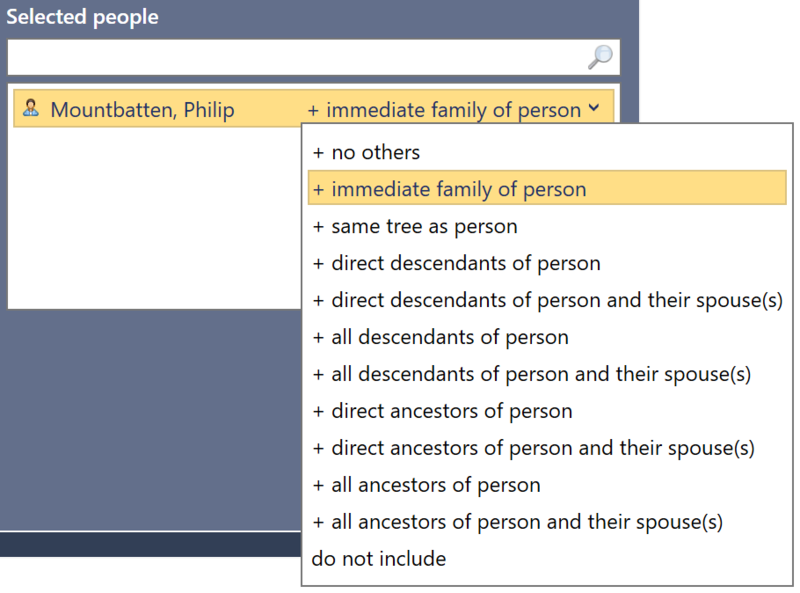 Alternatively you can select specific people and their relatives. All unreferenced multimedia, sources and repositories are also removed from the new file. Optionally, all multimedia can be removed from the file. Fig 1. Save a Copy options. Fig 2. Selecting people to include.